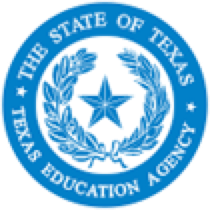 The Texas System of Education Service Centers, with the support of the Texas Education Agency, is embarking on an innovative school redesign project in Turnaround schools across the state. The English Language Proficiency Standards (ELPS), as required by 19 Texas Administrative Code, Chapter 74, Subchapter A, §74.4, outline English language proficiency level descriptors and student expectations for English language learners (ELLs). School districts are required to implement ELPS as an integral part of each subject in the required curriculum. The Evaluation Capacity grant is designed to research, identify, procure, and deploy resources and personnel to assist Local Education Agencies (LEAs) in securing appropriately certified and/or licensed evaluation staff for the purposes of completing evaluations for eligibility for special education services. This grant will provide LEAs with improved access to highly trained evaluation personnel and/or funds to free up existing evaluation personnel. Resources and support will be made available to help LEAs across the state quickly fill short-term needs for evaluation personnel. The LPAC Framework Manual includes clarification of the legal requirements for LPACs, and provides documents and forms to facilitate the training of the LPAC members. This manual integrates federal and state laws, 19 TAC Chapter 89/Texas Education Code (TEC) Chapter 29, Forms and Resources, and the LPAC training PowerPoint. The PGC Network works in collaboration with the Texas Education Agency (TEA) to determine, establish, and maintain a Texas PGC Initiative as applicable to grades kindergarten through twelve. Private Non-Profit Title III, Part A Services details the responsibilities that local educational agencies (LEAs) have in providing equitable Title III, Part A services to eligible private non-profit (PNP) school's English language learners (ELLs), their teachers, and other educational personnel.